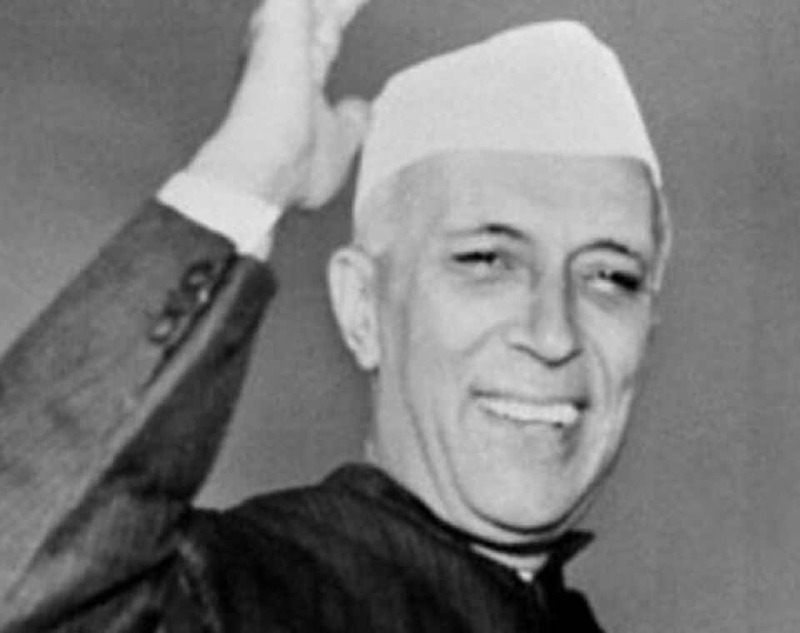 Pandit Jawaharlal Nehru was the first Prime minister of Independent India (Tenure:1947-1964). His very election to the post of Prime Minister was controversial. Historical documents have proved that 12 out of 15 Pradesh Congress Committees nominated Sardar Patel as the President of the Congress (who would later continue as the Prime Minister). Clearly, the mandate was not in favour of Nehru. It created one of the 5 biggest blunders which impacted the Indian Economy and History. It was Gandhiji who made his choice in favour of Nehru and asked Patel to withdraw. The democratic decision was overturned and Nehru was appointed as the Prime Minister of India. Here are 5 biggest blunders of Nehru which costed India a lot. Nehru has been glorified as the ‘architect of Modern India’. He was Mahatma Gandhi’s second-in-command in the country’s freedom and it was he who put India’s freedom struggle in the international context. We all know how as a Prime Minister, he propelled India’s growth towards modernisation by advancing technological innovations. He established innumerable basic and heavy industries and advocated for a mixed economy. He set up various institutes for higher education like AIIMS, IITs, NITs, NDA and AEC. It was he who initiated the Non-aligned movement (NAM) professing neutrality. Before India was independent of the British rule there were some regions directly under the control of the British whereas some other regions were princely states in a friendly relationship with the Britishers. But just before India gained Independence, it was required of all the princely states to either join the Dominion of India or Pakistan by signing a document known as the ‘Instrument of accession’.The majority of the princely states who were geographically a part of the present day India, signed in favour of the Indian Dominion, except for four princely states, which were Junagadh, Hyderabad, Tripura, and Kashmir. The Indian Army managed to capture Junagadh and annexed it into the Indian territory. Same happened with Hyderabad. Tripura was allowed to remain independent for some time before it was peacefully merged into the Indian Union in 1949. Here, What Is The Kashmir Issue And How It Started? However, the main issue lay with the princely state of Kashmir. The state’s population was dominated by Muslims, with a Hindu ruler Raja Hari Singh. The British propelled Hari Singh to join Pakistan, but he preferred to stay independent. However, there were tribal invasions in Kashmir (supported by the Pakistani army) and Raja Hari Singh realised that he should sign the ‘instrument of accession’ in favour of India. By the time he signed it, the invading tribals created a lot of havoc and occupied areas of present-day POK and areas under the Chinese control. But the Indian army acted quickly and managed to take control over the areas. At this stage, as the accession of Kashmir was legal, India should have gone ahead and pushed the Invaders back. However, Jawahar Lal Nehru stopped the army and instead took the issue to the United Nations. The UN passed a Resolution 47 on 21 April 1948. This measure imposed an immediate cease-fire and called the Government of Pakistan ‘to secure the withdrawal from the state of J&K of tribesman and Pakistani nationals not normally resident therein who have entered the state for the purpose of fighting .’ It also asked Government of India to ‘reduce it’s forces to minimum strength, after which the circumstances for holding a plebiscite should be put into effect on the question of accession of the state to India or Pakistan ‘. Also Read - What is the Strategy of BJP for Karnataka Assembly Election 2018? However, in the end, no withdrawal was ever carried out, India insisting that Pakistan had to withdraw first and Pakistan contending that there was no guarantee that India would withdraw afterward. Hence, Nehru is blamed for giving away the gains of Indian Army in Kashmir in 1948, and had he not approached UN for a cease-fire, a large chunk of Kashmir would not have remained under Pakistani occupation. Nehru’s forward policies and his failure in settling the borders resulted in India-Sino war of 1962. Let us understand how the blunders committed by Nehru lead to the disaster of 1962. In the 1950s, China invaded Tibet. India should have prioritised the situation in Tibet but Nehru dealt with it in a very haphazard manner. Well into 1950, the Indian Government regarded Tibet as a free country. China announced their invasion of Tibet on 25 October, to free Tibet from imperialist forces ‘ and consolidate its border with India. However, there was little concern in Indian official circles. Even after the loss of Tibet, India gave up opportunities to settle borders with China. The Chinese premier Zhou-en-Lai visited India several times to settle the boundary between the two countries.T he Chinese were ready to accept the McMahon line as the boundary in the East and negotiate the unmarked boundary in the west between Ladakh and Tibet. Read More – Will Congress Be Able To Achieve Its Breakthrough In 2019 Election? As late as 1960, India, instead of sending survey teams to Ladakh to locate the boundary and create maps, kept telling the people that there was a clearly defined boundary which the Chinese were not ready to accept. Also Read - Gujarat Assembly Elections 2017: Are the parties keeping their stakes high? China wanted Aksai Chin in order to construct an access road from Tibet to Xinjiang. Nehru could have dealt with this issue creatively, maybe by asking for access to Mount Kailash & Mansarovar in return. However, no solutions were proposed by India. The result of this was that China completely ignored the doctrines of Panchsheel and went ahead with its plan to build the road through Aksai Chin. Afterward, there were a series of violent border incidents after the 1959 Tibetan uprising, when India had granted asylum to Dalai Lama. Nehru’s foreign policy in 1961, in which he placed military outposts along the border, including several north of the McMahon Line, and the Eastern portions of a Line of Actual Control proclaimed by the Chinese Premier Zhou Enlai in 1959, finally flared up the Chinese attack in 1962. India did not suspect China to ever launch an attack and was totally unprepared. China emerged victoriously and it was an embarrassing defeat for India. While China was capturing areas of Aksai Chin, Nehru had indifferently remarked, “Not a single blade of grass grows there, the Parliament should not waste time on it.” This comment brings to light his casual behaviour regarding the Chinese border issues. The UNSC was established in 1945 and began with four members-USA, Russia, France and Great Britain. Washington Post has reported that the US asked India to become a member of the UN Security Council. However, Pandit Jawahar Lal refused and instead offered the seat to China instead. The most natural reason could be Nehru’s great admiration for China, especially around 1954-55, when he formulated the Panchsheel doctrine with China for peaceful co-existence. Jawahar Lal Nehru’s sister, Vijay Lakshmi Pandit was inducted as President of United Nations General Assembly(the 1st woman to hold that position). Vijaya Lakshmi Pandit supported China for permanent membership in the UNSC. Finally, in 1971, China received the Permanent Membership of the UNSC, the seat which rightfully belonged to India. Also Read - Can Modi convert the roaring success of PM Awaas Yojna into tangible vote share? Jawahar Lal Nehru was the brain behind the famous foreign policy of Non-alignment. He started the Non-Aligned Movement (NAM), whose member states were not formally aligned with or against any power bloc of the Cold-War era, i.e., the USA & the USSR. Read more – Can Congress Win The Madhya Pradesh Elections 2018? However, this NAM seems to look good only in documents. One can evaluate a policy by its results and not by its grandeur or appeal, and Non-Aligned policy has by far-fetched no gains. It only improved Nehru’s image internationally. It did almost nothing for India. In fact, if India had aligned itself with the U .S., then it might have had some benefits. India would have been much better off economically, China would not have had the guts to attack India, nor would Pakistan dare to put up troubles in J&K, the USA &UK would not have favoured Pakistan over India on Kashmir and the Kashmir issue would have been solved in favour of India long ago. According to an article by yugparivartan.com, Nehru’s economic policies created a ‘poverty perpetuating and misery multiplying socialistic -bureaucratic black-hole.’ There are global pieces of evidence to prove that no country has so far prospered under Communalism and socialism. Even Nehru’s contemporaries Sardar Patel, Rajagopalachari and Rajendra Prasad were opposed to socialism. Nehru’s pre-conceived notions against Capitalism and Exports deeply hurt the Indian economy. Stress only on the public sector and totally neglecting as well as placing heavy restrictions on the private sector (which thwarted industrialisation), neglecting agricultural growth, pathetic communication network and transport, were some of the consequences of Nehruvian economic policies. India had a far better position as compared to the countries of Southeast Asia when Nehru took charge of India.B ut India remained far less developed than all of them by the end of Nehru’s tenure. Countries like Singapore, which were poor, backward, third-world countries, changed, thanks to sound and far-sighted diplomacy and foreign policy, innovative ideas and wise strategy into a competent first-world country. In comparison, India still remains a poor, third world country. Hence, we see that even though Nehru was a great visionary, some of his ideas and decisions were completely misguided and uninformed, which did India more harm than good. Previous articleWill Congress be able to achieve its breakthrough in 2019 election? Next articleAre BJP’s recent loses an indicator of end of the Modi Lehar?